Filmmaker Dale Johnson will be presenting his travelogue entitled "Canada's Incredible Parks" at Pacific Union College's Paulin Hall Auditorium on Saturday, January 15, at 7:30 p.m. Admission is free. Dale Johnson did his first filming while living with the Choco Indians in the jungles of lower Panama. Later he spent two years directing and filming the outdoor television series, "The Lone Star Sportsman," which took him all over the United States and several foreign countries. He also joined the film unit attached to the Johnson Space Center in Houston, spent five years at NASA, and formed his own company, Trailwood Films. Many of his films have won prizes and awards, including two that collected the prestigious CINE Golden Eagle. 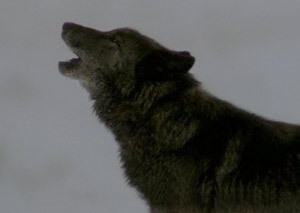 Recent projects include a National Geographic Special on the wolves of Yellowstone.